Innovated, perfected and defined by Bona. Bona Traffic HD is the only finish worldwide that’s GREENGUARD GOLD Certified for children and schools. Ease of use and application. Excellent properties in flow, leveling and defoaming. No need to abrade for adhesion unless more than 48hrs since last coat. Serve specific purposes to allow for the proper sanding sequence to finish floors. 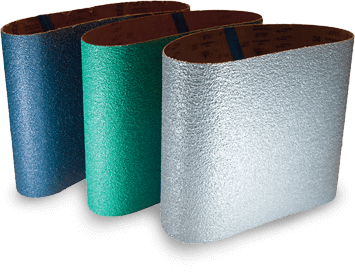 Each abrasive type has a specific mineral blend, function and cut. GREENGUARD Certified for indoor air quality as part of the full Bona system. Designed perfectly to be used with our abrasives. We develop machines and abrasives to optimize the benefits of each. Our machines and abrasives are meant to be used together for the best results. Developed with the newest technology. Our machines provide innovations in sanding and dust containment that aren’t seen in the competition. Why Bona Stains and Sealers? Bona Stains and Sealers are GREENGUARD Certified for indoor air quality as part of the full Bona system. 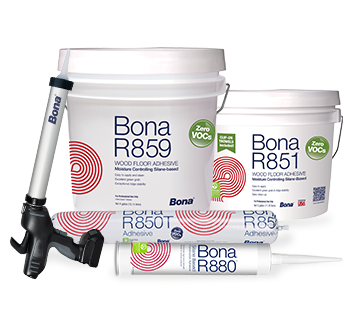 Bona Sealers are true sealers – made to both penetrate and seal the floor and add a layer on top for the ultimate in finish protection. 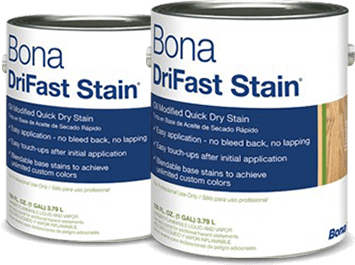 Bona DriFast Stains have a unique formulation utilizing OMU resins – the only stain to dry AND cure. Bona Craft Oil provides a natural, organic look with a rich patina and is ready for light use in just 8 hours. Mimics the natural movement of wood flooring. Other adhesives can be too rigid or too flexible. Cleans off easily, won’t mar surface or stain hands/tools. Minimal waste due to self-sealing properties. Looking to learn more about the world of hardwood floors? To help inform and serve the public, the flooring experts at Bona have created many ways to stay current with the hardwood flooring industry. Bona offers courses to many types of professionals connected to hardwood floors: contractors, designers, building managers and more. Find helpful information backed by Bona’s flooring expertise—the same expertise that has been trusted for almost 100 years. At Bona, Sustainability is more than just a buzz word or marketing gimmick—it’s part of our mission and philosophy. As a company that takes social responsibility seriously, creating sustainable products and minimizing negative impacts to the planet guide our principles and innovation techniques. Creating safe, healthy spaces where people can grow and thrive is a vital business practice, and we will continue doing all we can to make the world a better place. 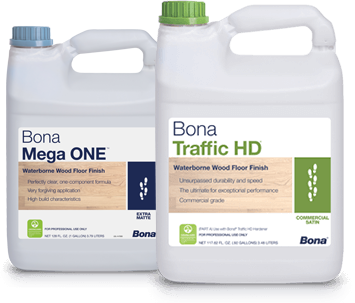 Bona is the foundation of hardwood floors across the globe. The Bona System works in synergy creating beautiful floors every time. we not only innovated the first full system for hardwood flooring professionals... we defined it.